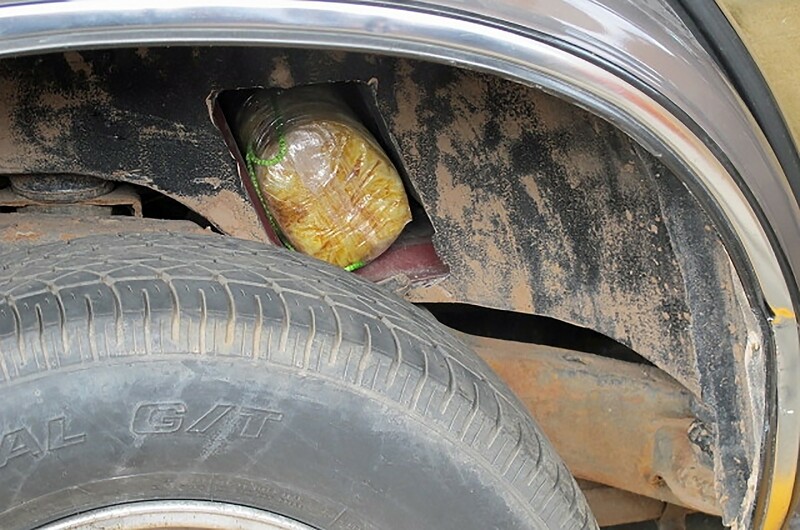 A recent increase in methamphetamine seizures at the border suggests that Mexican cartels are seeking to meet demand with meth-making ingredients more difficult to obtain in the U.S., the top drug-enforcement official in Arizona said Wednesday. In the last two years, Arizona has seen a 40 percent increase in meth seizures, with about 5,500 pounds seized last year, according to Douglas Coleman, Drug Enforcement Administration special agent in charge for Phoenix. Comparing Arizona to another major access point for drug trafficking, the DEA reported 5,124 pounds of meth seized last year in San Diego, which used to be a main production hub for meth. The federal Combat Methamphetamine Epidemic Act of 2005 restricted over-the-counter sales of products containing ephedrine, pseudoephedrine and phenylpropanolamine, all used in the production of methamphetamine. The number of meth labs in Arizona has dropped dramatically since, with the DEA reporting five clandestine meth lab incidents fiscal 2014 versus 133 in calendar 2005. The dropoff in domestic production hasn’t reduced demand for meth in Arizona or the rest of the country, however. And cartels in Mexico, particularly the Sinaloa Cartel, which controls most of the meth production in Mexico, are meeting that demand by sending more of the drug across the border, Coleman said. “If the domestic labs weren’t operating, then the Mexican labs began to pick up,” he said. The price of meth has also decreased significantly as well. Coleman said the DEA can find the drug for as low as $3,000 per pound, a price he deemed “dirt cheap,” down from $8,000 per pound five years ago. Tony Vidale, a program manager at the Arizona Criminal Justice Commission’s Drug, Gang and Violent Crime program, said drug seizures are a good sign of drug trafficking taking place in the state. 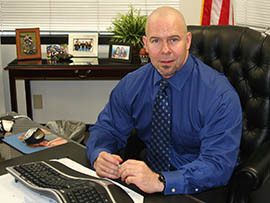 Task forces his agency works with have seen a steady increase in meth-related investigations since 2010, including 1,517 meth-related arrests in the 2014 fiscal year, he said. “The increase in investigations tells us that drug task force officers are coming across the drug more often in the community, and it is drawing their attention enough to trigger investigations,” he said. The increase has also resulted in an increase in the number of people sentenced to prison on charges related to meth. Vidale said that during fiscal 2014 methamphetamine was the most common primary drug among those sentenced to prison. Vidale said that the numbers his agency has collected point to Arizona still having a significant problem with meth. Coleman said that since Mexico does not have the same kind of controls that the U.S. has on the precursor chemicals, production there has been able to increase drastically. “The super labs, the 100-plus pound labs, have increased significantly in Mexico in the past 10 years,” he said. 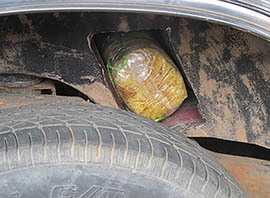 On Feb. 18, U.S. Customs and Border Protection located this package containing methamphetamine underneath the floorboards of a vehicle passing through a border checkpoint in San Luis. Douglas Coleman, special agent in charge of the Drug Enforcement Administration’s Phoenix office, said laws making it more difficult to obtain meth-making ingredients have Mexican cartels attempting to smuggle more of the drug into the U.S. to meet demand.